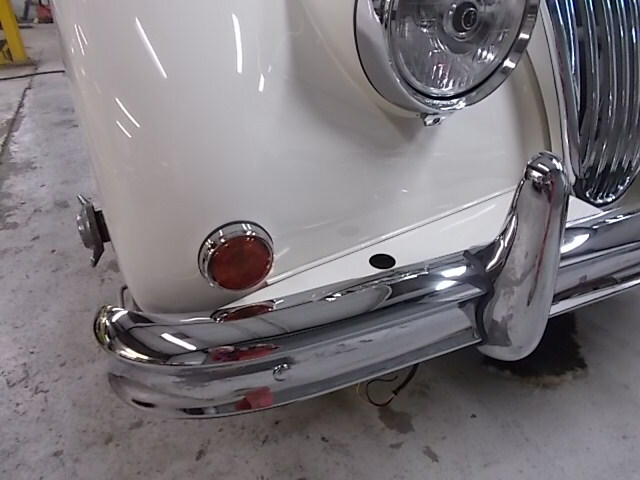 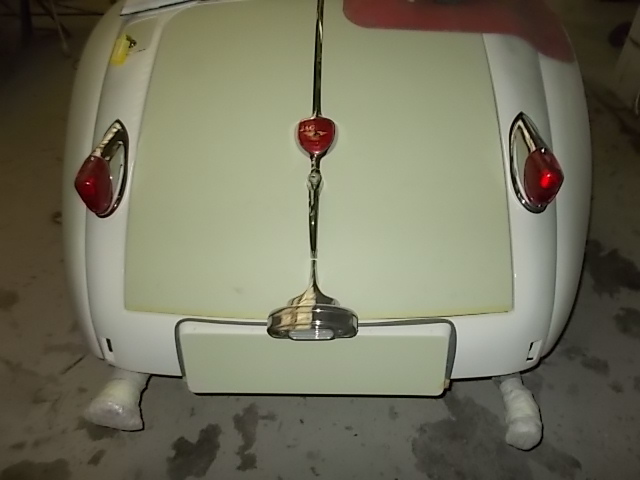 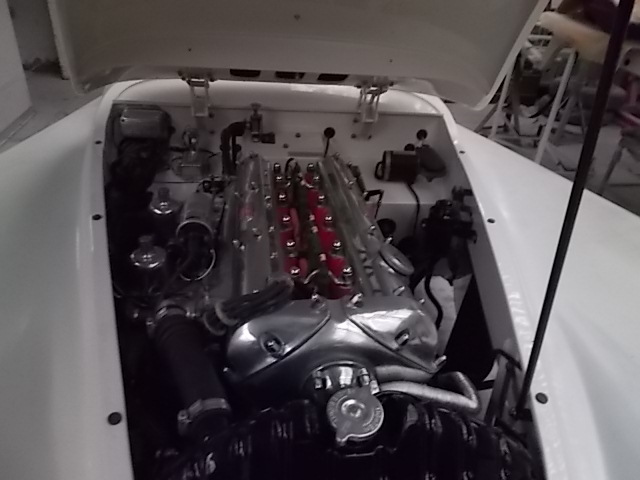 This is one of three classic cars that we at Jules Bodycraft have had the privilege to restore for the owner. 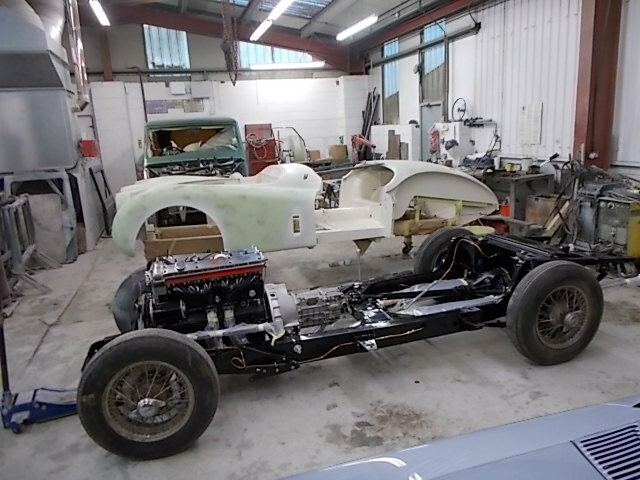 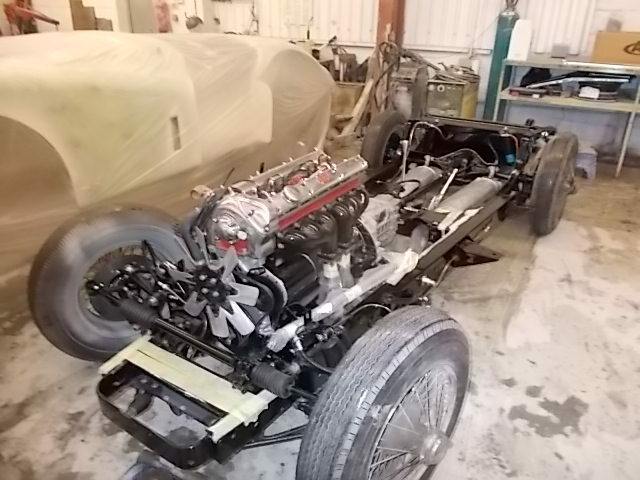 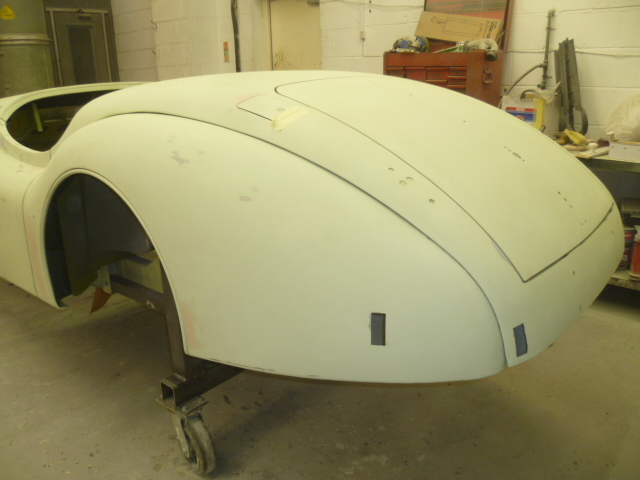 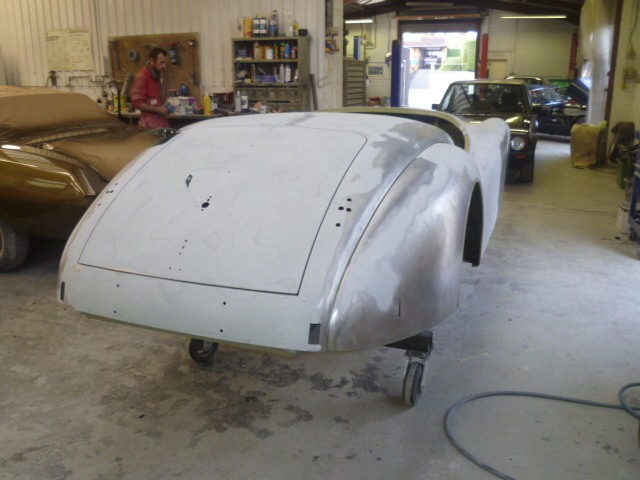 Front view of Jaguar XK140, body panelled up gapped and filled. 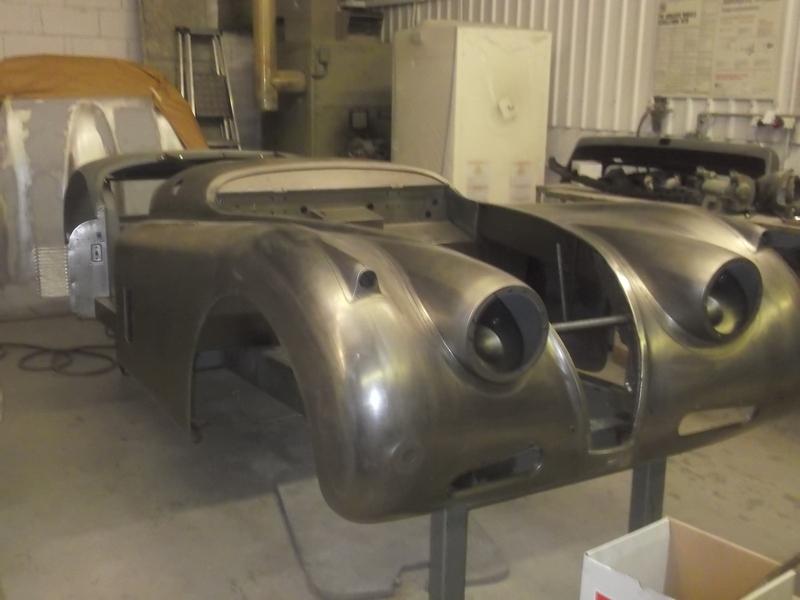 Rear view of Jaguar XK140. 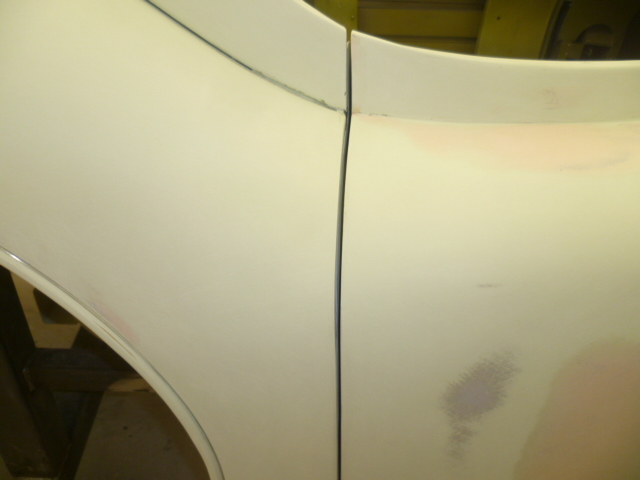 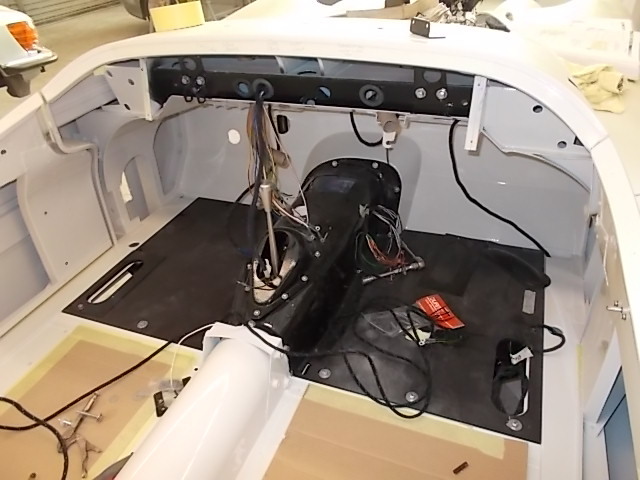 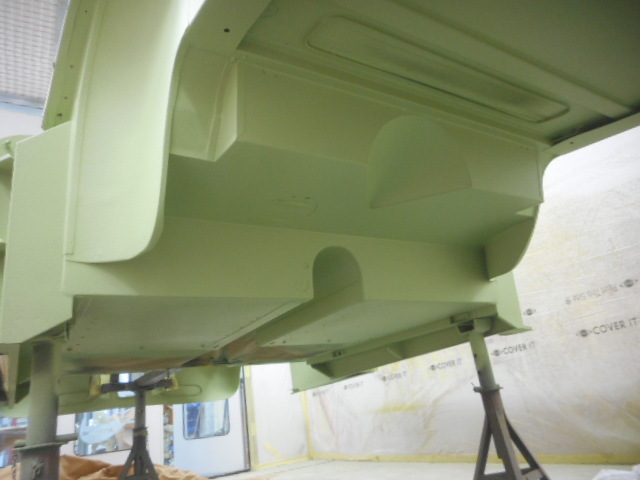 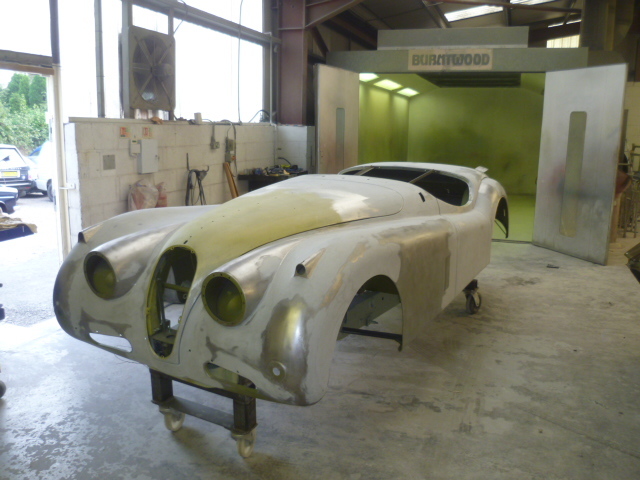 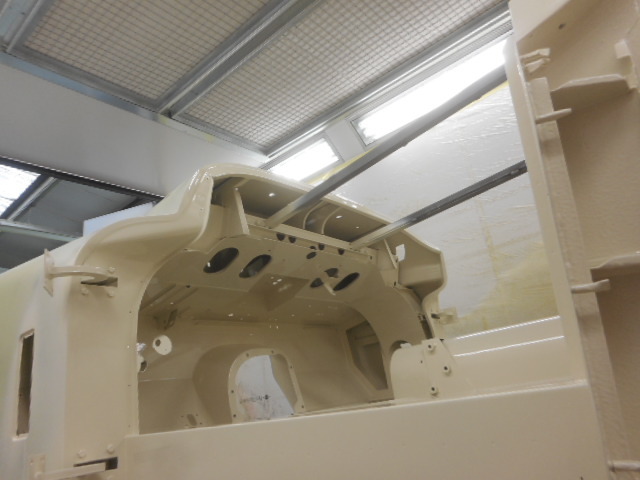 Bright work being pre-fitted to Jaguar XK140 prior to outer panels being re-painted. 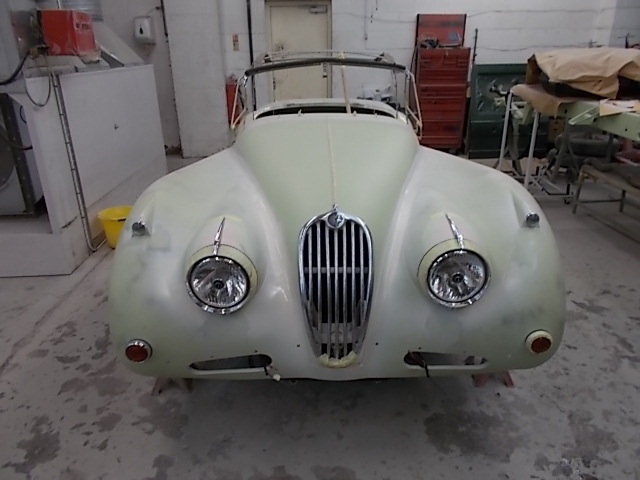 Front view of Jaguar XK140. 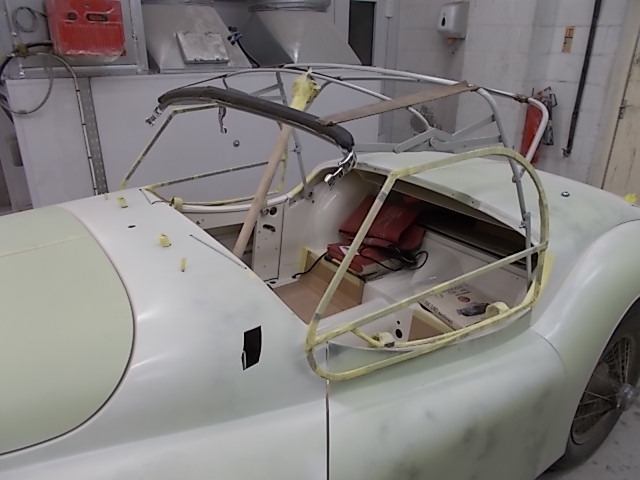 Bright work being pre-fitted to the Jaguar prior to outer panels being re-painted. 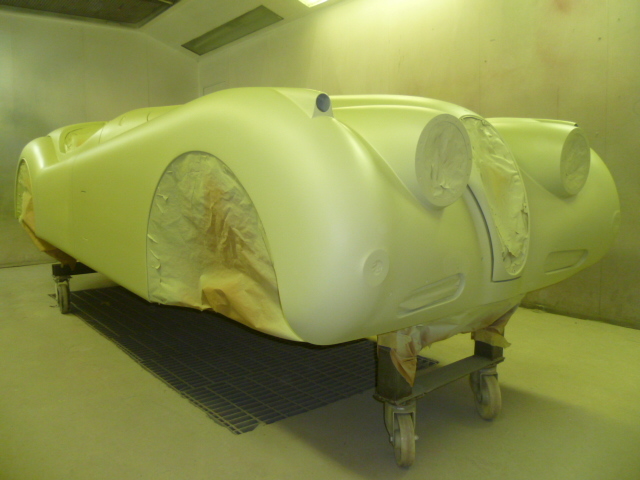 Jaguar X140 in spray booth masked up ready for top coat. 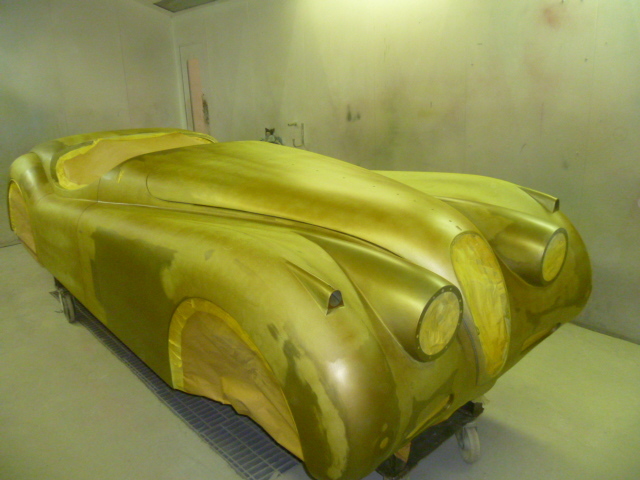 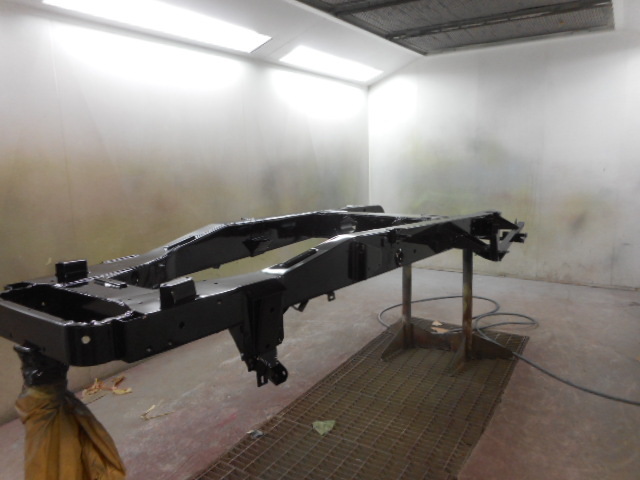 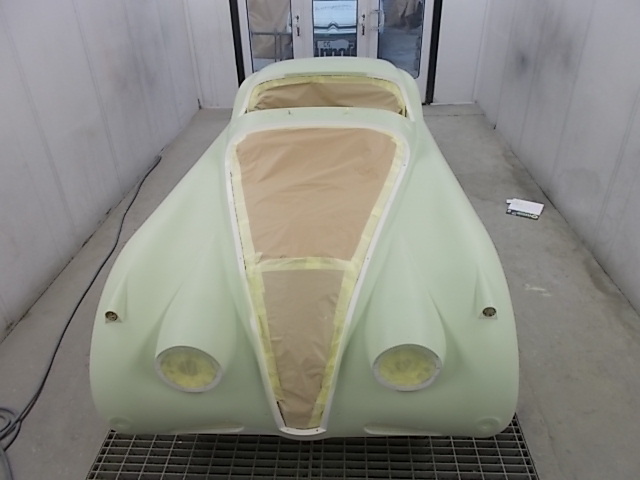 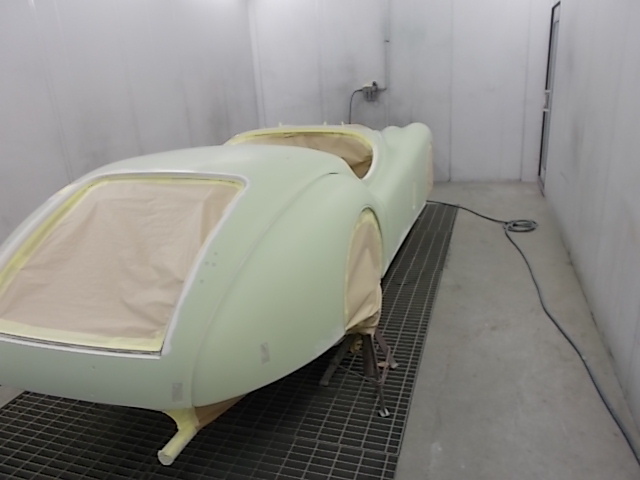 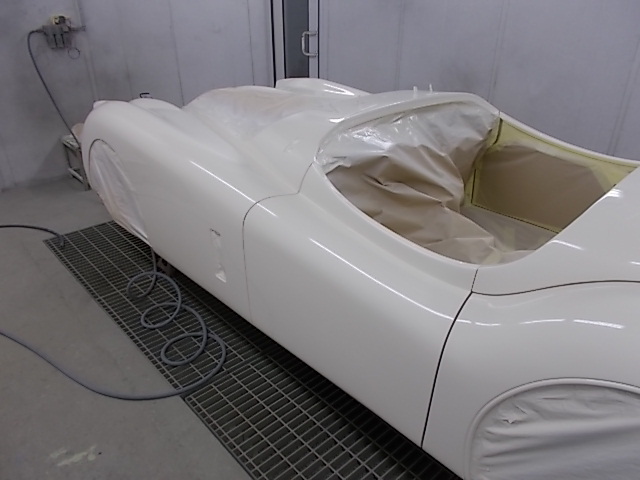 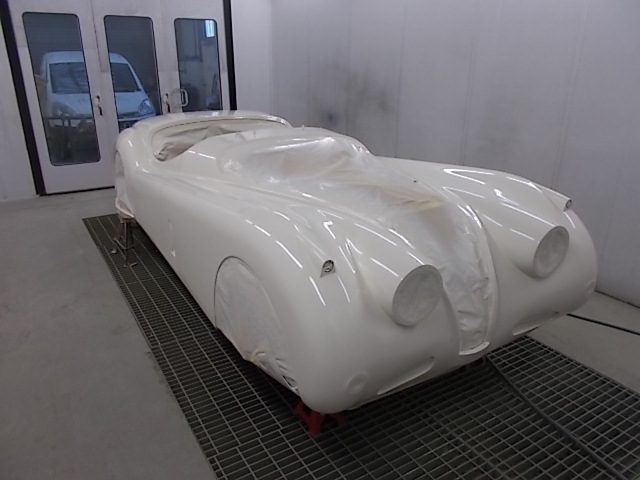 Jaguar XK140 in spray booth, masked up and sprayed in top coat. 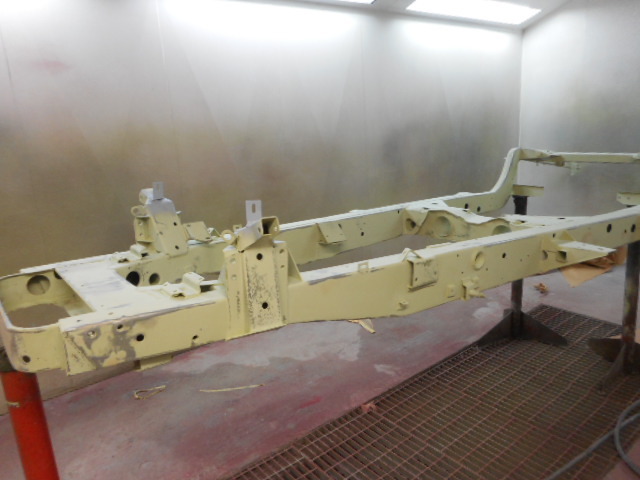 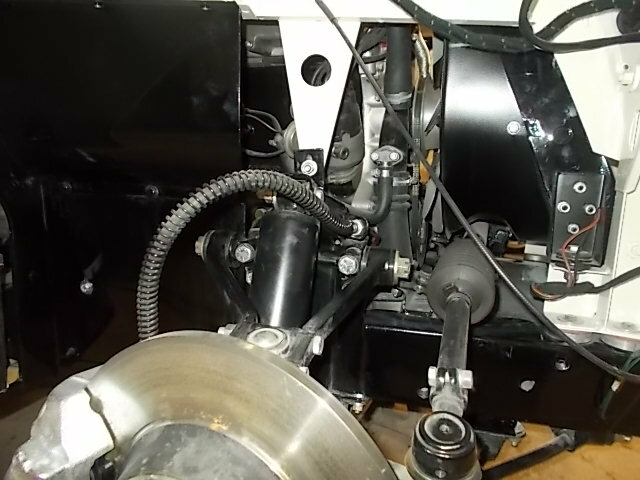 Front suspension being re-built on Jaguar XK140. 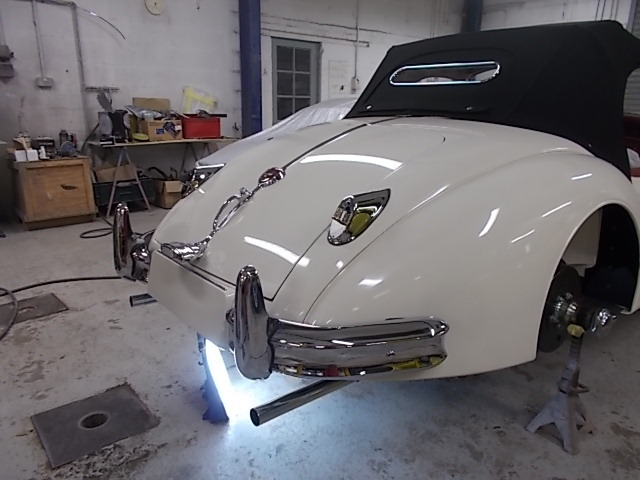 Bright work re-fitted to Jaguar XK140. 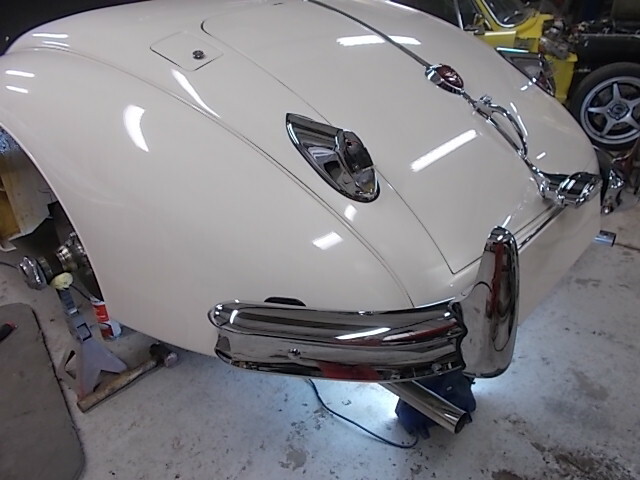 Chrome re-fitted to Jaguar XK140. 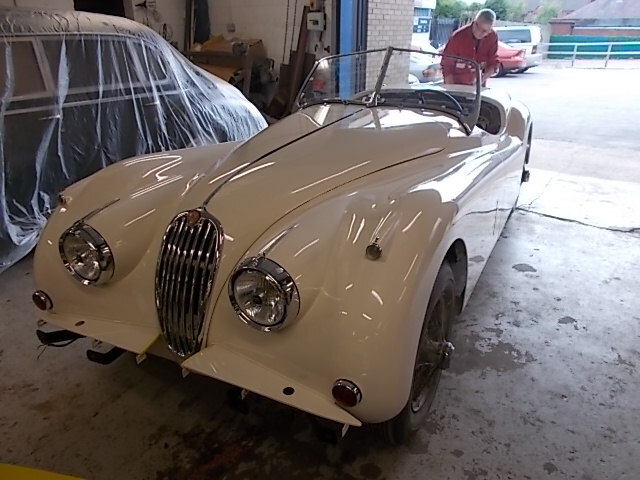 New hood re-fitted to Jaguar XK140.